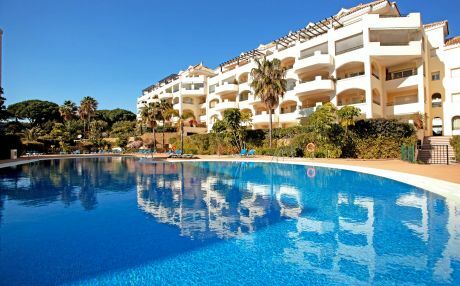 Marbella is located in the province of Malaga and is one of the highlights of the Costa del Sol. For decades, we could say that since the 50s, the city is synonymous with glamour, since different personalities decided to have their holiday in Marbella. It gave it an international reputation that endures to this day. As a good Málaga city, you cannot leave Marbella without trying the delicious espetos which are skewers of grilled sardines cooked on fire on the beach bars. If you are looking for something with more glamor, the city offers hundreds of restaurants with all kinds of cuisine to suit all budgets, international cuisine, Italian, Oriental...But worth trying are the dishes of traditional Málaga cuisine, usually based on fish and seafood, either fried or grilled or in stews. Always accompanied by some good wines with the designation of origin of Málaga. And of course, you also have to go for tapas, which is the perfect way to try many different dishes in small quantities. Everyone knows that there is a great nightlife in Marbella, so you will find plenty of entertainment venues, pubs, discotheques where you can drink or dance until dawn, especially in the old town, on the marina in Puerto Banus and San Pedro de Alcantara. Centuries of history and cultures have left their mark throughout the entire municipality, and especially in the old town, where there are remains of past civilizations like Roman and Phoenicians. Also you can spot how life was and what was the city was like a century ago when it was just a small fishing village, since it has changed very little. This area is ideal for walking, eating tapas or visiting tourist attractions. You could start by the Iglesia de la Encarnación, the Museo del Grabado or las Murallas del Castillo, and of course, the famous Plaza de los Naranjos, where you have to sit and relax to enjoy this lovely place. Near the old town you will find the Parque de la Alameda, full of vegetation, being an axis of the city and a green lung of it. 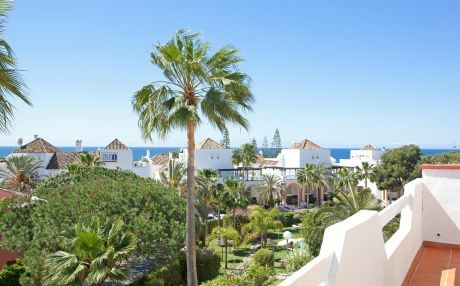 Of course one of the main attractions of Marbella are its 27 km of coastline where we find 24 beautiful beaches, some of the most glamorous like Bounty Beach or Nikki Beach and others like Real Playa Zaragoza, in a pristine environment with large dune systems. You cannot leave Marbella without visiting Puerto Banus, the famous nautical and tourist enclave of luxury located in the urbanization Nueva Andalucía. You can also stay here, since the range of apartments, villas and houses for rent in Puerto Banus is very broad. But this city has a great cultural, tourist entertainment and fun for all budgets, the atmosphere of its streets and its gastronomy, make Marbella a perfect holiday destination. In addition, its 24 beaches, incredible microclimate and variety of spa, make Marbella one of the best health tourism destinations in Europe. 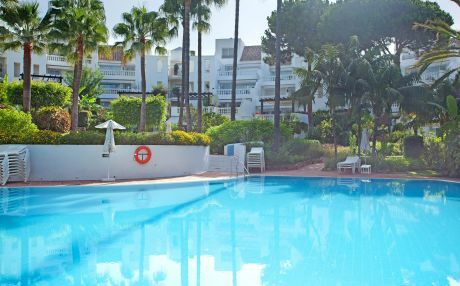 The main attraction of Marbella, if traveling with children, are its beaches, well equipped, and where endless activities and sports are offered for children so they don’t have a minute of boredom. There are also many children's urban parks, among which highlights one at the promenade with a pirate ship. There are specialized centers for fun for the smallest such as the Xtreme, where they can enjoy activities such as caving, kayaking or canoeing and many more, including rental companies’ playgrounds. Another option is to tour the city as a family; bike riding is something that kids love. Another point that you cannot miss is the Avenida del Mar that goes down to the promenade. This avenue where you will find 10 sculptures of Salvador Dali is a meeting point for tourists and Marbella locals, it is a lively place full of bars and terraces, perfect for lunch or for having dinner by the sea. Puerto Banús is a city within a city, where the heart of it are the docks. 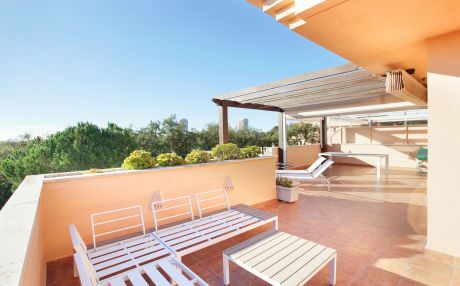 Marbella is a city well connected through the network of roads and highways of the Costa del Sol, it is also possible to reach the city by plane from the Pablo Ruiz Picasso Málaga airport, located just 45 minutes from Marbella. The city has a comprehensive bus network that links it to other cities of the Costa del Sol and the rest of the peninsula. 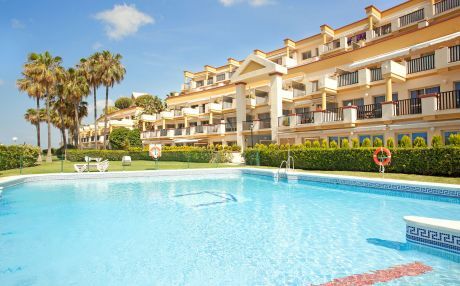 You cannot get to Marbella by train because the railway line ends in Fuengirola which is 27 km, but from there you can take a bus, a taxi or rent a car to get to Marbella. 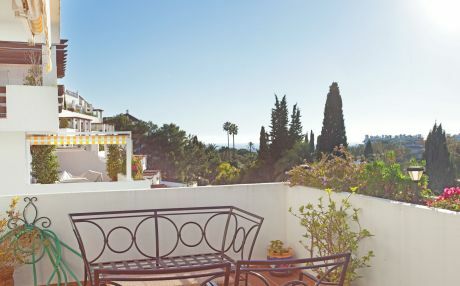 Marbella has a wide range selection of tourist accommodation of all kinds, but undoubtedly the best way to experience the city and know the local customs is to rent an apartment or villa in Marbella. 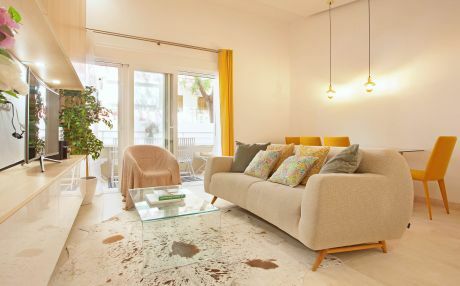 Besides being a cheaper option, especially if you're traveling with your family, renting an apartment lets you go at your own pace, without set times and much more space. 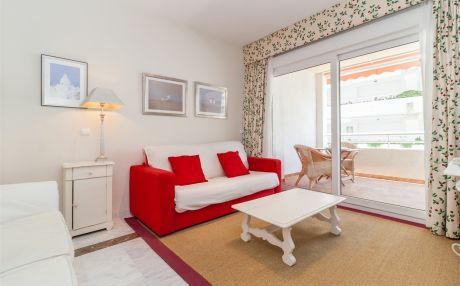 Depending on the budget you can find different types of tourist accommodation, but we recommend you rent an apartment near the beach, houses and villas with a private pool in Marbella and its urbanizations, or resorts with a communal pool. 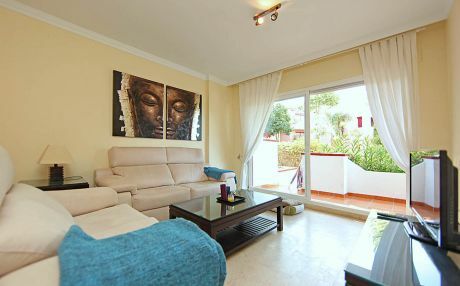 Accommodations designed to make the most of your holiday in Marbella. Puerto Banus is one of the places with more of a supply of rental apartments in Marbella.